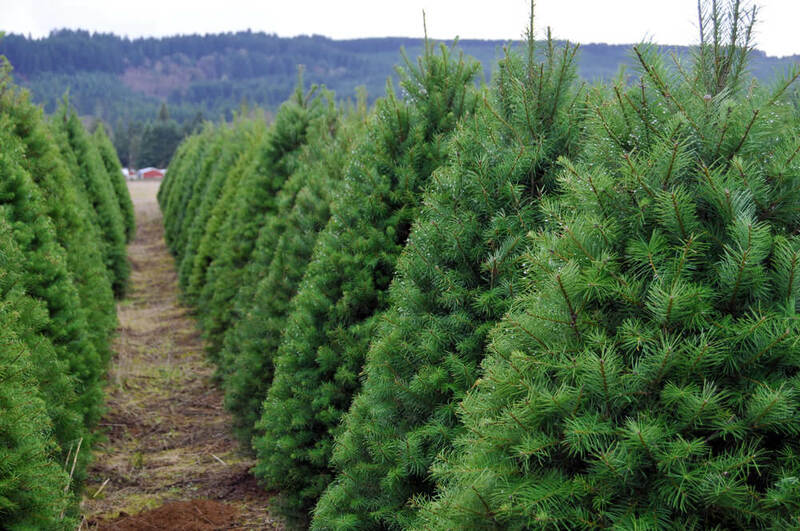 Approximately 33 million real Christmas trees are sold in North America each year. When shopping for gifts, bring your own reusable shopping bags. According to the B.C. Recycling Council, all the shopping bags and gift wrapping paper we’ll use during Christmas creates 545,000 tonnes of waste. Choose gifts that have the least amount of packaging. If you’re stumped on gift ideas, research shows that some people tend to value experiences over physical possessions- look into getting tickets for events, digital subscriptions for music, books, or movies, or activities. Sites like Groupon are a great way to buy experiences, and vouchers can be paperless and sent straight to the recipient’s email address! Be creative and consider giving handmade gifts, such as baked goods. Not only does it tend to be more cost-effective, but it also gives the impression that you put a lot of thought into your gift. 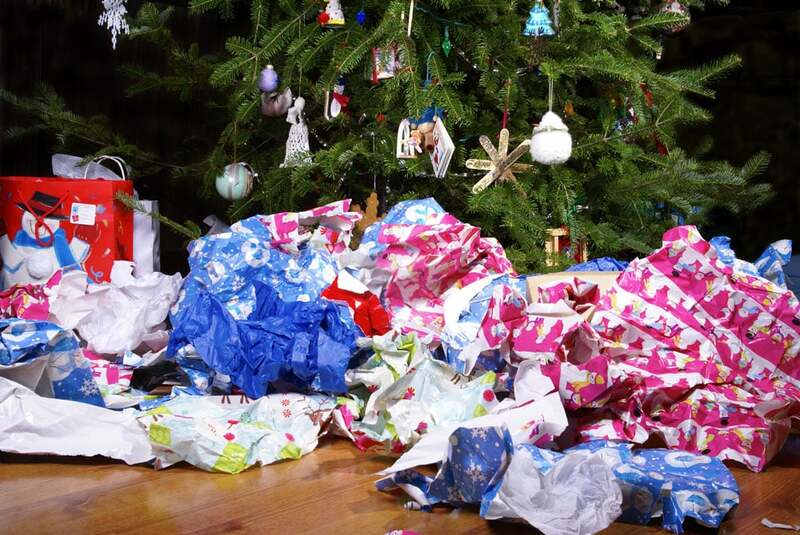 During Christmas, shopping bags and wrapping paper will produce 545,000 tonnes of waste. It turns out that a lot of wrapping paper can’t be recycled. Anything that has foil, cellophane, or lots of glitter gets thrown into the landfill. To make sure that any wrapping paper you use can be safely recycled, check to make sure it’s 100%- consumer recycled content. I personally like to wrap my gifts in kraft paper (which you can find made of 100% post-consumer waste) and personalize the wrapping with coloured markers. You don’t necessarily need to buy wrapping paper. Try reusing materials like the comics section in newspapers, and old maps and posters to wrap your presents. After opening your presents, save any wrapping material like ribbons, bows, and bags that can be salvaged. You can reuse them for next year! Try to avoid using disposable plates and cutlery that will end up in the landfill. If you don’t have enough tableware to go around, ask a friend to bring along some extra plates- just make sure they’re invited too! Make it easier for your guests to separate their trash. Have a clear area where empty cans and bottles can be recycled, and a compost bin available to get rid of the scraps. You may want to go for a cut tree if you don’t have access to a potted one. Contrary to popular belief using a real Christmas tree is more environmentally friendly than synthetic trees, just as long as they’re properly recycled. Recycled Christmas trees can be turned into mulch for landscaping and gardening, or chipped to be used for playgrounds or walking paths. Also, throughout the lifetime of a farmed Christmas tree, it can absorb more than 1 ton of CO2 throughout its lifetime. In Vancouver, the city actually picks up your Christmas tree from the curb to be recycled, just as long as you have it out by January 14th. During the holidays we take a break from our responsibilities to celebrate with our loved ones, and to toast to a year’s end and a year’s beginning. Our festivities should include the celebration of our planet- the planet that enables us to live the lives that we do, and where our ownership never takes a break. As the year draws to a close, remember that Christmas is not just about taking, but about giving back too. Happy Holidays!